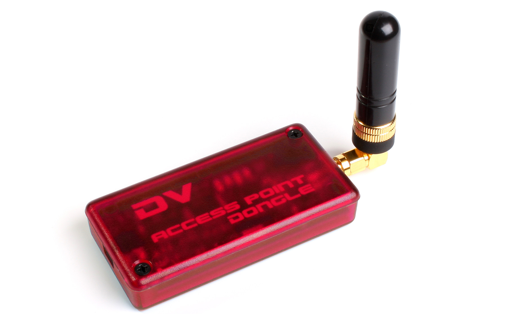 The DV Access Point Dongle connects to your PC or Intel based Mac via a USB port and provides a 2 meter Access Point for use with a D-STAR radio. Using an Internet connection, a user may connect to and communicate with D-STAR gateways and reflectors around the world. The DVAPTool application used with the DV Access Point Dongle may be installed and run on Microsoft Windows XP/Vista/7, Mac OS X Leopard/Snow Leopard, or many flavors of Linux.